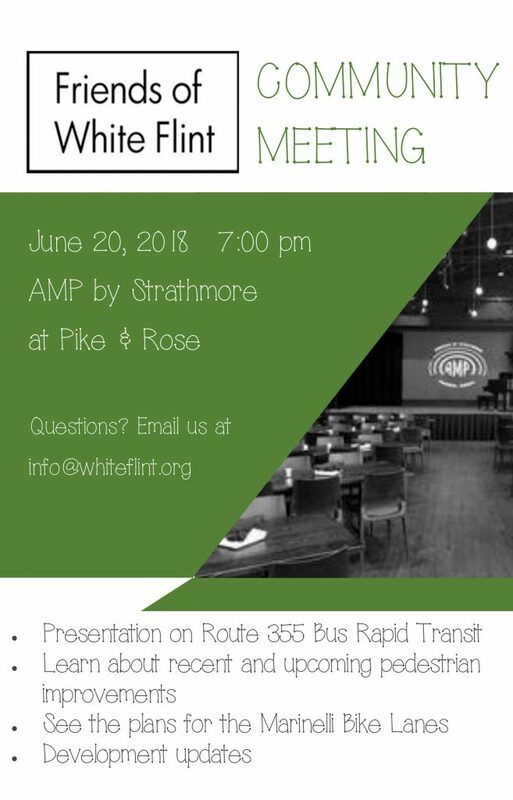 Please come to our Community Meeting on June 20th, 7 pm, at AMP by Strathmore at Pike and Rose. We will hear from MCDOT on Bus Rapid Transit on Route 355, new pedestrian improvements, and bike lanes on Marinelli Road. There will be ample time to ask questions, too. 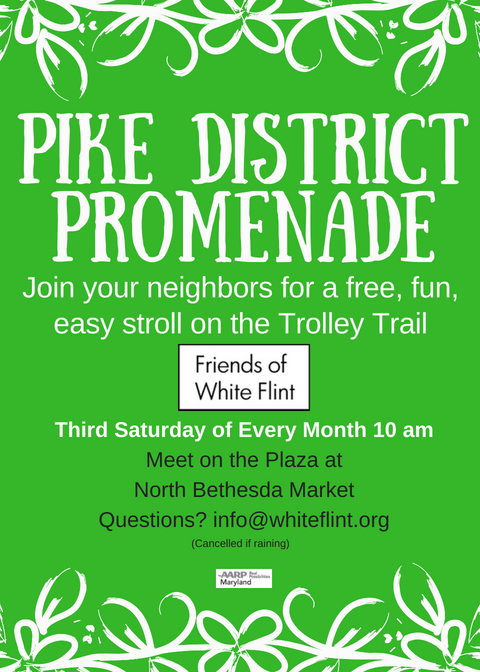 If you have any questions, please email info@whiteflint.org.